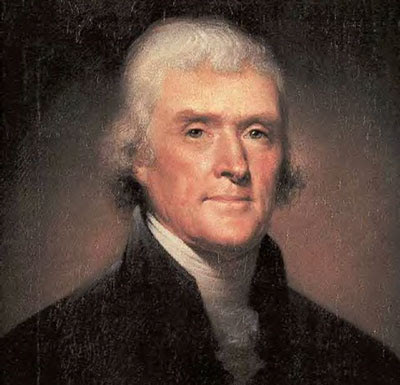 Thomas Jefferson - A Prophet or a man with just plain good common sense? 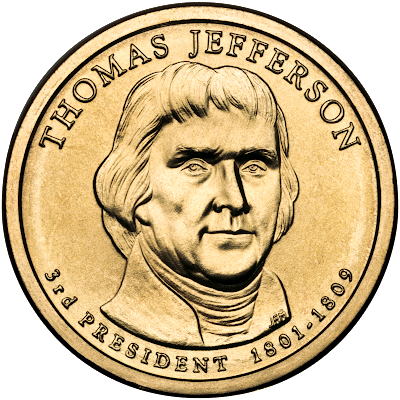 Thomas Jefferson (1743-1826), our third president and principal author of the Declaration of Independence. He was a horticulturist, archaeologist, paleontologist, author, inventor and founder of the University of Virginia. When President John F. Kennedy welcomed forty-nine Nobel Prize winners to the White House in 1962 he said, "I think this is the most extraordinary collection of talent and of human knowledge that has ever been gathered together at the White House with the possible exception of when Thomas Jefferson dined alone." When we get piled upon one another in large cities, as in Europe, we shall become as corrupt as Europe Thomas Jefferson The democracy will cease to exist when you take away from those who are willing to work and give to those who would not.